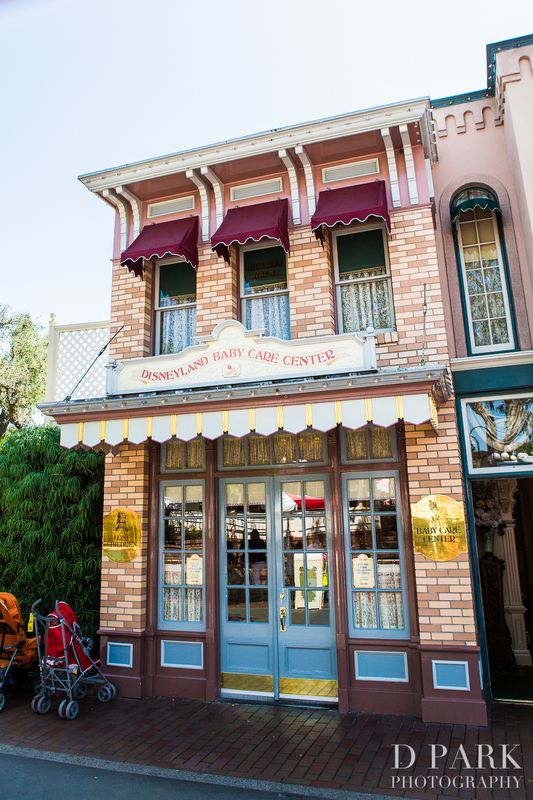 Continuing on with our special column from our photographer Drexelle and her little DisneyExaminer Knightly, we continue the “Adventures of Mommy Mouse and Baby Knightly” with an in-depth look at the Disneyland Resort’s Baby Care Centers! 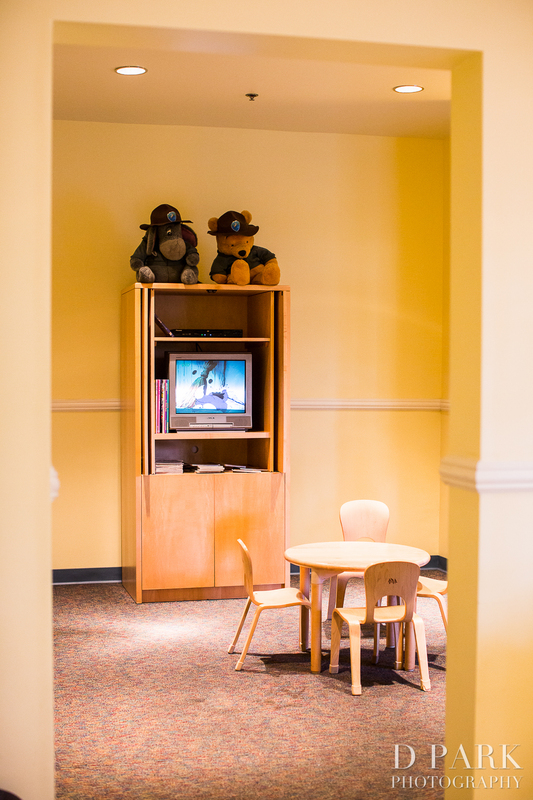 From day one, Walt Disney ensured there would be an oasis for our little babies and a safe haven for us moms and dads. 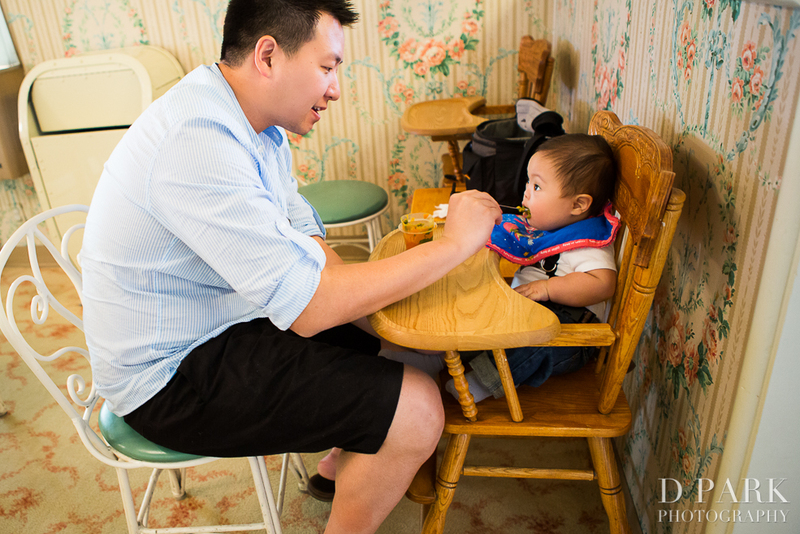 Welcome to one of my favorite “lands” in Disneyland – the Baby Care Center. 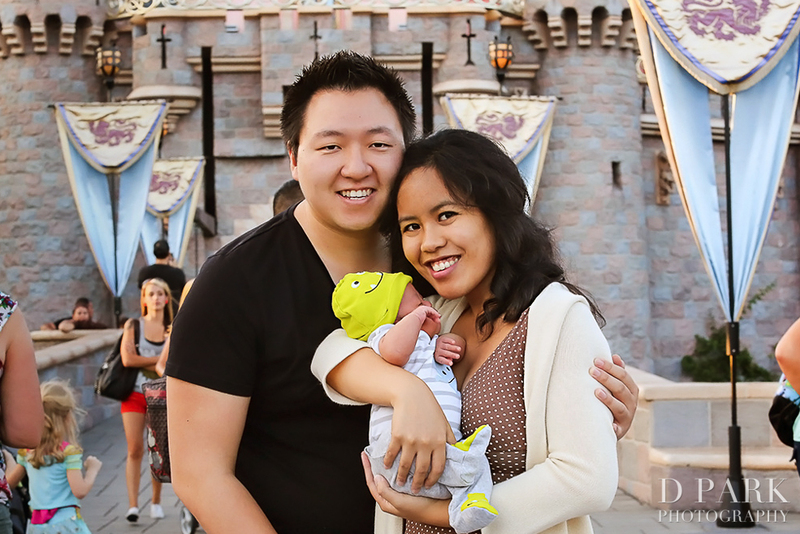 Until you go to Disneyland, navigating through stroller wars, carrying your body weight in necessities, and holding a fussy baby hoping he/she will have a good time, you cannot truly appreciate how awesome this place is. 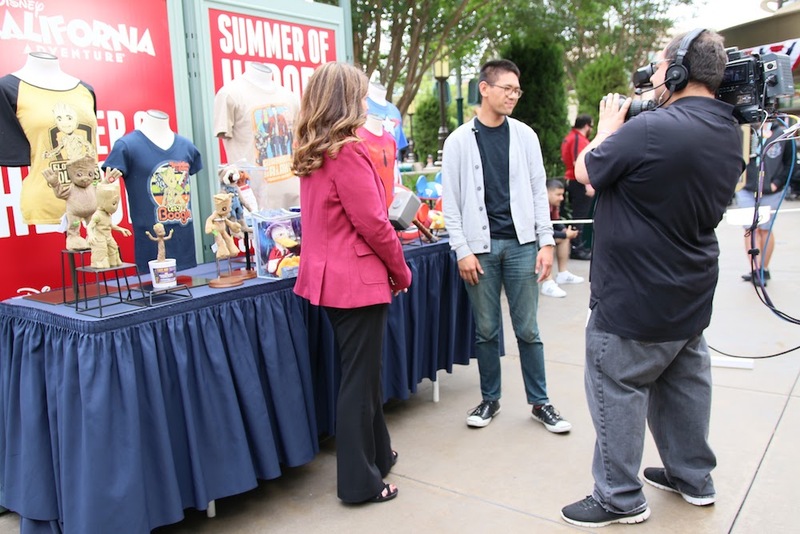 So once we found it, we had to share and get some inside scoop with one of the very sweet Baby Care Center cast members, Elizabeth. She kindly gave us a tour and shared about all the little goodies in this baby land. what is available in the Baby Care Centers? Step right into the Baby Care Centers and you’ll find SO many wonderful things for you and your baby. 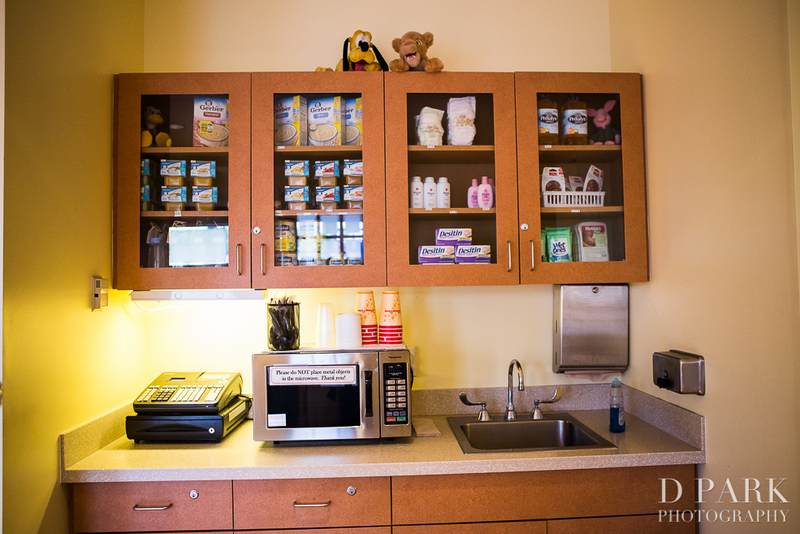 Each center has a private nursing area for mommy and baby only (sorry dads, you’re welcome everywhere else but here). For pumping moms, there are outlets available to give you a relaxing (air conditioned) place to pump. 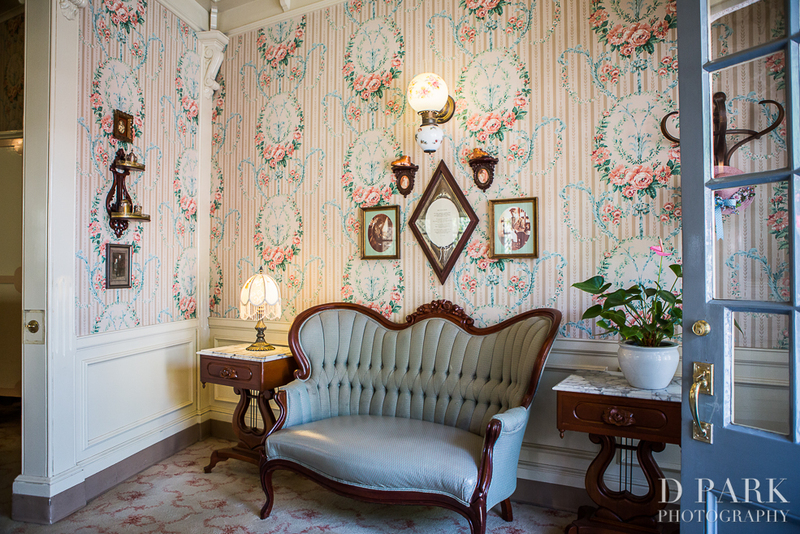 Personally, I think Disney California Adventure has the best nursing room – complete with two wooden rocking chairs enclosed by curtains so you can be completely alone if you prefer (and there is no wait). Disneyland’s chairs are wicker and feel less comfortable The other nursing areas are open in a quiet small room (but everyone is very respectful of each other’s privacy from my experience). 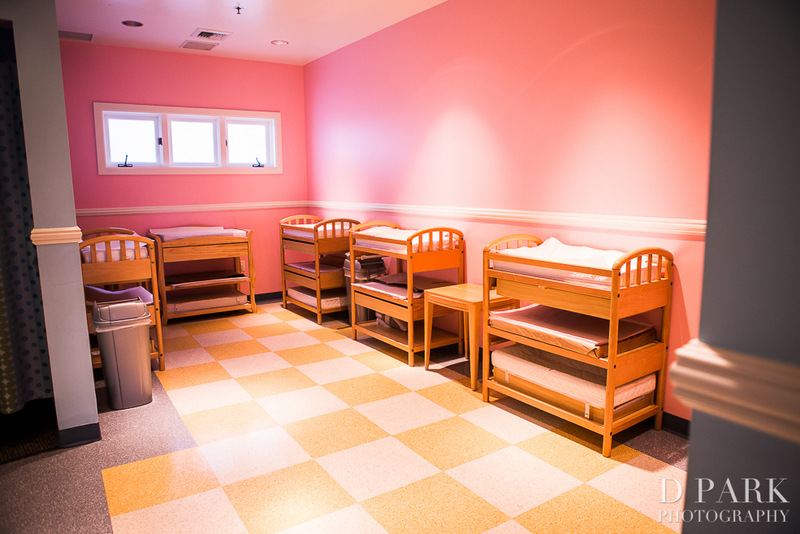 Comfortable, padded changing rooms with changing tables are available here! 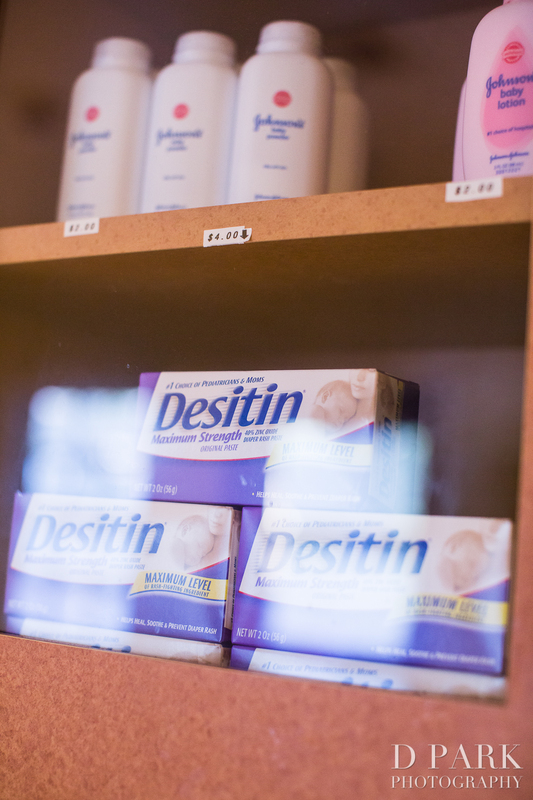 They are well-cushioned and lined with paper each time a baby is changed to keep it clean. 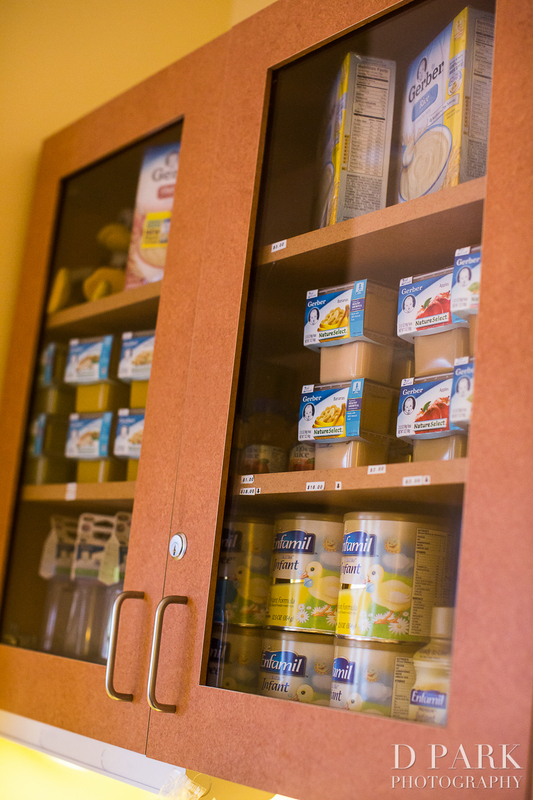 Nearby you’ll find shelves to keep your bags and belongings while you change your baby. My little Knightly usually cried in most other changing tables in public bathrooms because of the hard surface – but they’ve got padded ones here, baby! So he is always a happy little marshmallow when I change him here. 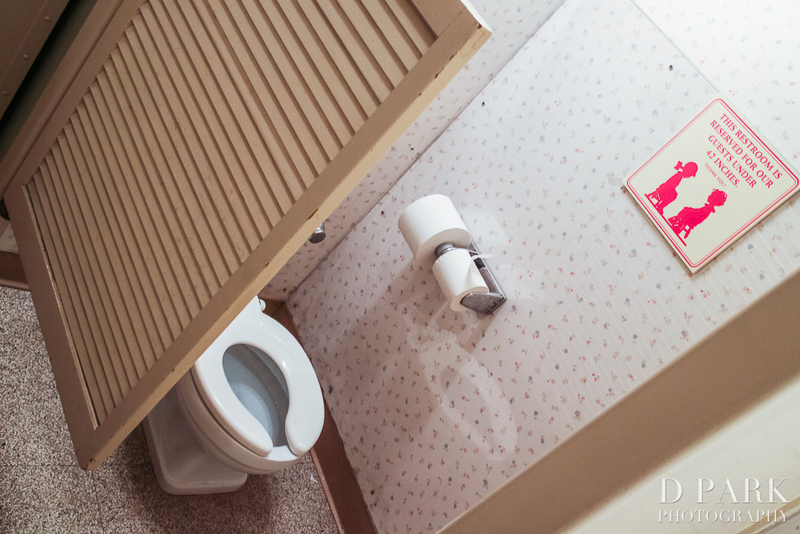 For when your little one gets bigger, there are comfortable and clean toddler toilets here for kids under 42″! These babies get cleaned every time they are used and come with a kid-sized sink as well. And, if there are any accidents, you’ve got a place to wash them up right next to it as well. 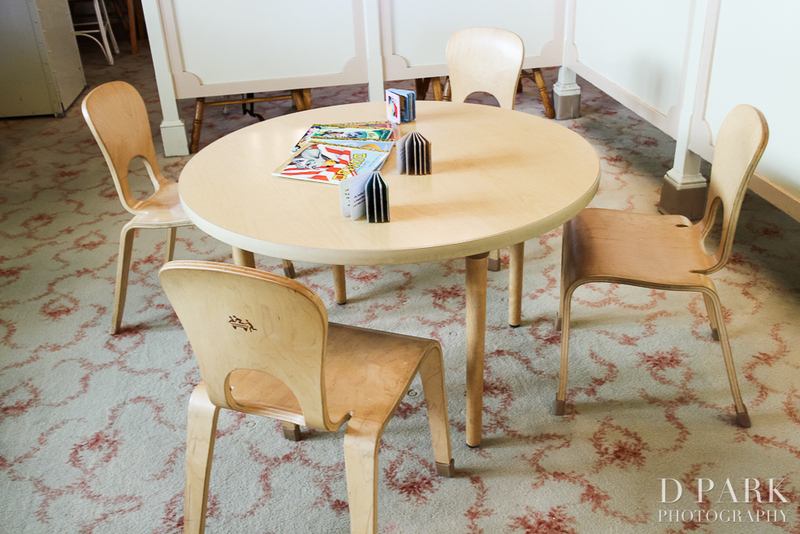 Feeding room with classic wooden high chairs! This is a good quiet feeding area placed right next to the kitchen. Fun Fact: All the water in the water fountains here, and around Disneyland, are filtered reverse osmosis water. The only exception is the hot water, which isn’t. LOVE! Thank you, Disneyland, for these microwaves. Here you can heat up your baby food and bottles. They even have bottle warmers so you don’t need to use the microwave if you don’t want to use ’em! This area was created as a lost children area for kids under 13. However, when it’s not being used, your other kids and family members can come, watch TV, read, and play while you do your thing. Important Note: Cash ONLY! 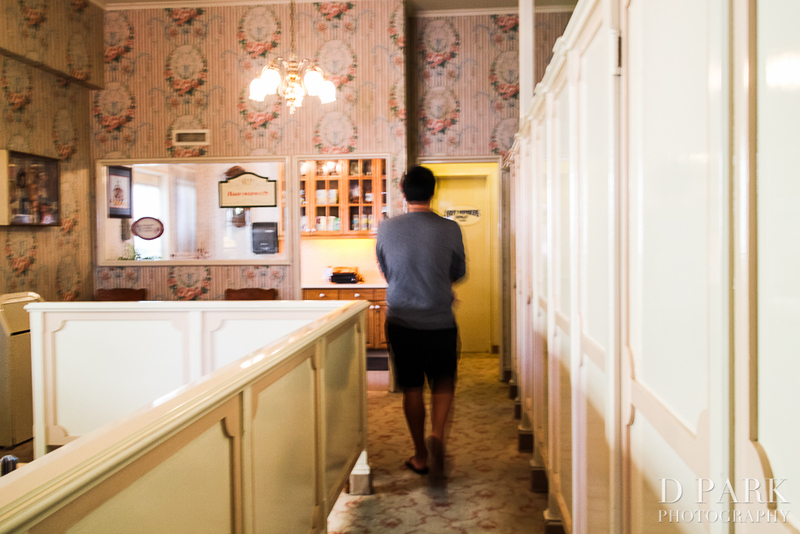 This is one of the few places in the park that still only accept cash. where are the Baby Bare Centers? Go here to check out a map to find these places. 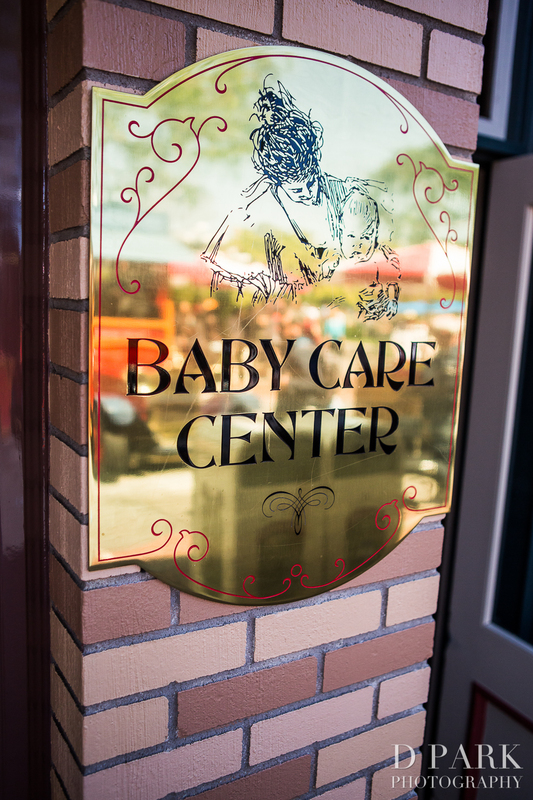 what’s the difference between Disneyland and Disneyland California Adventure’s Baby Care Centers? Disneyland has a hopper. It’s used to wash cloth diapers or if your babies/toddlers have any accidents. You can get a bag to carry out the clothes. That big sink has been there since the park started 58 years ago. It’s got fresh water and Dawn dish soap to go alongside it. Both Baby Care Centers have the same hours as the parks. There may be a wait during the crazy busy times. 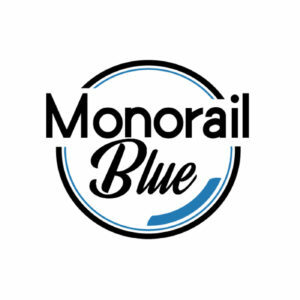 So be prepared to wait in line at times (and we recommend avoiding stopping by right after a parade). Refrigerators | Due to fear of cross contamination (and also because when they first had them, no one used them), there are no fridges for storage. Moms who pump can bring a cooler or lunchbox and any restaurants will give ice for you. First Aid can also store ice packs for you. Beds | No naptime pack ‘n plays or cribs here. BUT you’re welcome to sit on any of the chairs to rock or have your baby nap with you. 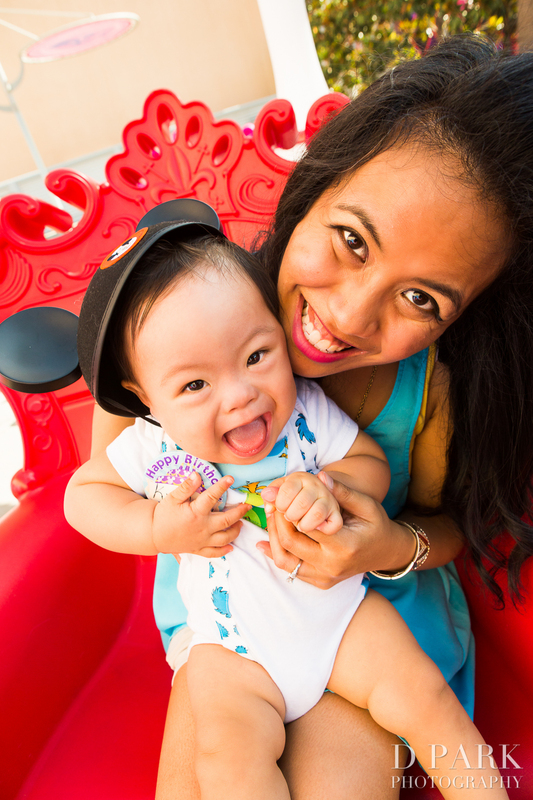 Stay tuned to more adventures with Mommy Mouse and baby Knightly! Moms and Dads of little ones, email and let us know what you’d love to hear about in the future. Why even go. Wait until your kid is age appropriate. Priss, your comment makes absolutely no sense and is completely irrelevant and unwarranted. Previous story Here Comes Halloween at Disney Parks! Next story Dapper For Days.